Evil to the core, this wicked lady will give you a poisoned apple and not think twice about it. Fitted coat has close fitting bodice with princess seams. 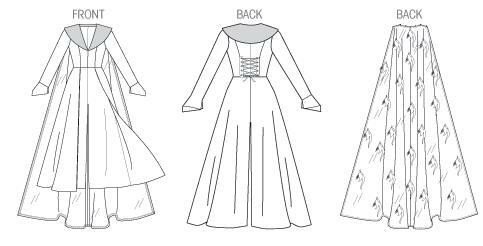 Bodice has button front, laced rear and fitted long sleeves. Skirt is full with floor length rear mini train. Attached cape. Tights and necklace not included.